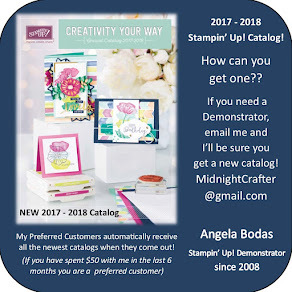 This card uses the VERY awesome Mixed Bunch stamp set, with the also very awesome Endless Wishes stamp set. 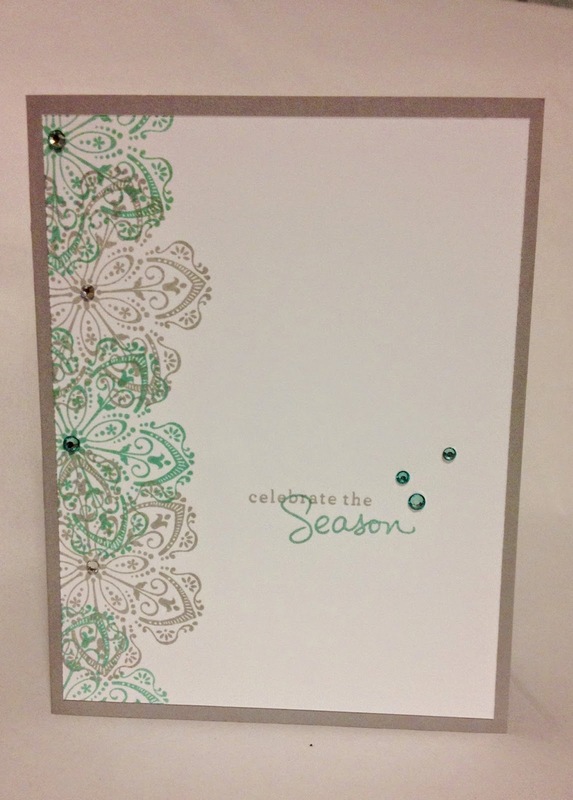 Clean and simple, this one layer card has a pop of color and some bling to give it some wow. Like I said yesterday, I just love being able to coordinate the rhinestones with different color ink. Great use for the blendabilities! The mixed bunch set has a coordinating punch, the Blossom Punch, so you can add some dimension. The blossom Punch is also great for punch art! The stamp set includes two flowers, with 3 different centers, and a snowflake. 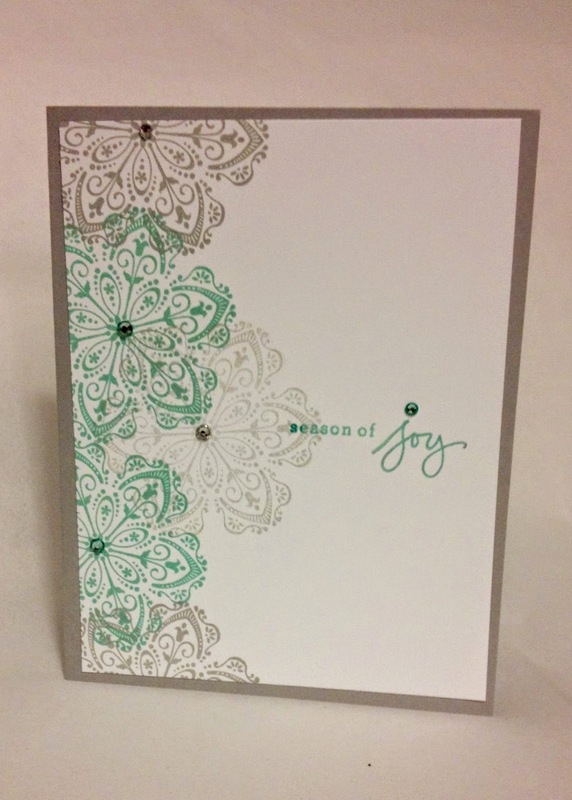 The snowflake is so intricate and detailed, you could use it for a great accent or background stamp! It has an almost vintage, art deco, lacy pattern. 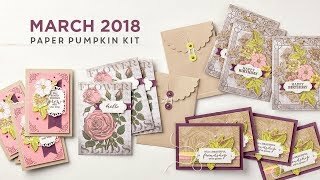 The flowers in the set are perfect for spring, summer, or fall - and the different centers give you lots of different looks. I really love this set!! I think I did a better job on the first card, stamping the border a little better, but I kind of like the extended snowflake here too... What do you think?